Neesya is one of the brand that I haven't heard for a long time. They've been keeping low profile lately and it didn't cross my mind to try the brand until Muffin.my sent me this in their introductory package. This Brightening Night Rejuvenator caught my eyes immediately. Deeply hydrates, rejuvenates, and illuminates skin through the night. Fortified with Silver Vine extract, Alpha-Melight and natural fruits zcomplex, to help regain radiance and clarity. Replenished with a vital dose of brightening and hydration active ingredients, skin regains smoothness and suppleness. Results in an energized, illuminated, refined and supple skin texture. When first opened, squeeze the nozzle several times until the product is dispensed. Apply to cleansed and toned skin. This product gives instant brightening effect. 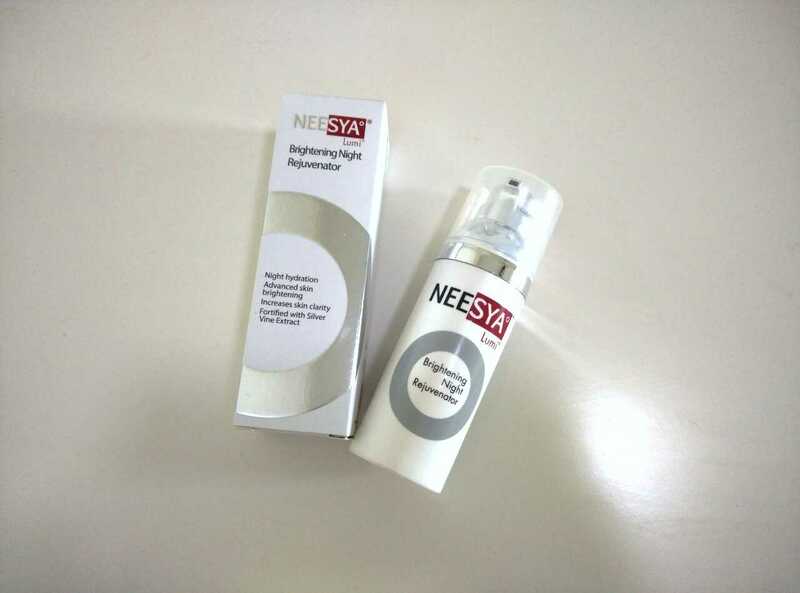 Neesya's strength is on brightening and I certainly recommend this Brightening Night Rejuvenator if you are looking for high performance brightening product. Besides the efficacy, I also like that it provides hydration as well. All you need is apply one product for your night routine. The sleek product also makes application neat and easy. The price is reasonable as well. However, I don't think this product works in a long run. 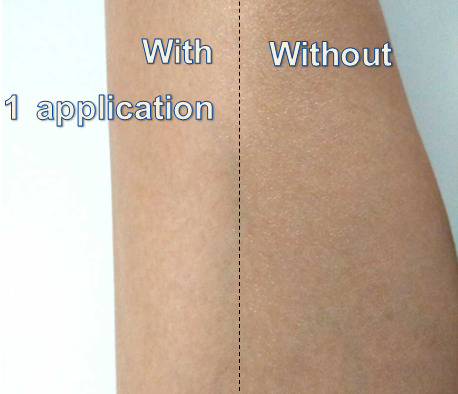 It might be good to tackle your skin dullness for a short period of time. The instant effect comes from its primary ingredients Saccharomuces/ Opal/Mother of Pearl/ Turquoise/ Diamond Ferment Lysate Filtrate. These are mineral ferments that promote skin radiance and give that brightening visual effect. Once you complete the entire bottle, it's best to use other products before you continue to the second one. If you have dull skin and lack of glow. However, not recommended to those who have skin congestion problems due to the minerals presence that may block pores. Neesya counters are located at Subang Parade, SACC Mall, The Mines, Plaza Metro Kajang, & Sunway Putra Mall. 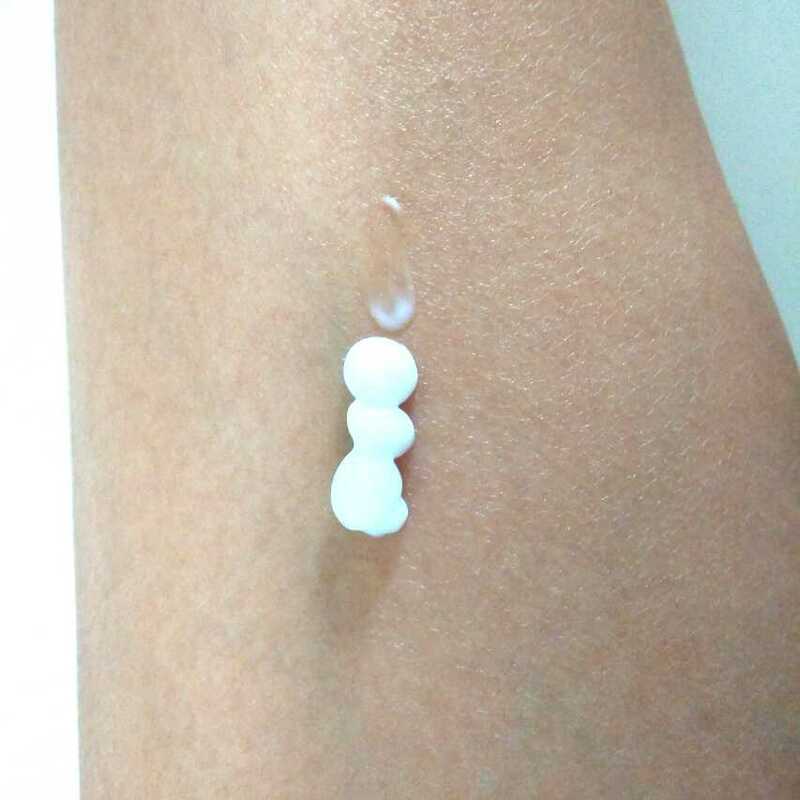 Water, Cetyl Alcohol, Isopropyl Myristate, Glyceryl Strearate, PEG-100 Strearate, Strearic Acid, Phenoxyethanol, Ethylhexylglycerin, Dimenthicone, Bosabolol, Actinidia Polygama Fruit Extract & Butylene Glycol, Glycerin, Ciyrullus Vulgaris (Watermelon) Fruit Extract, Pyrus Malus (Apple) Fruit Extract, Sodium PCA, Sodium Lactate, Carbomer, Fragrance. Ethoxydigylcol, Propylene Glycol. Glucose, Lactic Acid, Chamomilla Recutita (Matricaria) Extract, Sodium Hydroxide, Aloe Barbadensis leaf juice, Maltodextrin, Saccharomuces/Opal/Mother of Pearl/ Turquoise/ Diamond Ferment Lysate Filtrate.